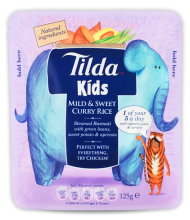 Tilda Kids Rice - tasty with a sneaky twist ! We are always keen to try new foods in the Morrison household, so I was very pleased to be given the opportunity to try The new Tilda Kids rice. Tilda and its new Tilli the elephant character will be helping busy mums to feed their hungry hoards this Spring with the launch of its delicious NEW rice and veggies range – Tilda Kids. Travelling far and wide, Tilli’s range is full of goodness providing 1 of your 5-a-day with a selection of the best natural ingredients to make four tasty child-friendly rice and vegetable meal accompaniments, sure to help busy mums keep their little ones happy and satisfied during mealtimes. Kids can choose from familiar classic flavour varieties such as Cheese & Tomato, Sunshine Vegetable, Sweet Vegetable & Wholegrain and Mild & Sweet Curry….yum yum! Available in 125g pouches each meal has been specially developed to cater for a child’s taste pallet and growing appetite. They can be eaten on their own or as an accompaniment to all their favourites - meat or fish. What’s more, each pouch takes only 40 seconds to cook in the microwave, is full of goodness, no nonsense and carries the Tilda reassurance of being made using only the finest quality ingredients containing ‘1 of your 5-a-day’, and is a nutritious alternative to other starchy carbohydrates that children need for energy. The new range also caters for fussy eaters as each pouch contains a blend of hidden vegetable puree as well as small pieces to help boost your youngsters vegetable intake! As you can see from the photo tyrus loved the rice, although not when it was in the bowl!! All of the children tried each of the flavours and didn't mention any extra ingredients!! their particular favourite was the Mild & Sweet curry. The thing I loved about it was the speed that it was able to be served, just a quick whizz in the microwave and the children had a healthy filling snack, or as part of a bigger meal, and with the extra vegetable puree hidden it is great for the fussy eater in the family, who I shall not name!! The new Tilda Kids range is available in Tesco stores and most Morrisons, Waitrose and Asda stores and on Ocado, with an RRP of £1.15 for a 125g pack. 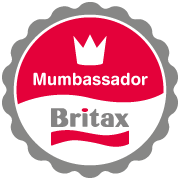 Thank you to Jen at My Mummys Pennies for tagging me in her post and passing the Olympic torch onto Hex Mum, and thanks to Lou from Bloggomy who started this fun meme. My husband has been very involved with the Torch Relay, being responsible for its journey through parts of Suffolk, so it seems like forever we have been talking about the Olympics, and each week the children have been involved in some kind of Olympic activity. 1) If every day tasks were Olympic events what would you get a gold medal in? After thinking about this for quite a long time, it would have to be car seat fitting and seatbelt clicking. Each time we get in my little bus, one of the children requests to sit somewhere else in the car, so my skills at undoing one car seat and replacing it with another are second to none, in fact, watching anyone else attempt to do them makes me quite twitchy, so that is definitely my gold medal attempt. 2) As a child (or now even) did you excel at a particular sport and if so which one? I was in the school netball team from the age of 7 until 11, sometimes playing against much older opponents, I can remember one incident when I had sprained my ankle really badly, but I was determined not to miss the tournament, so I made the doctor strap it up extremely tight and I played in all of the matches, we also won which was a bonus! Once finishing Junior school I moved onto horse riding, which I still adore, the part I excelled in was being able to stay on a horse that was misbehaving, I was known for my rodeo type skills, when confronted with a bucking, rearing horse, I was never one for dressage!! 3) Michael Phelps (swimmer) or Michael Johnson (runner) – which sport appeals to you more? It would have to be Johnson, as I really don't find swimming appealing, except when pregnant! I was never a sprinter, but I enjoyed longer distances running. 4) How fast can you get out of bed and ready to go out the door if you miss the alarm and sleep in? That would depend if I had to just get myself out of the house, or the entire brood, if I missed the alarm and it was only me, probably 5 to 10 minutes, but if it was the entire gang, 25-30 minutes, maybe a little quicker if I snuck Eowyn and Tyrus out in their PJs!! 5) What fantasy sport would you like to see made into an Olympic event? A multi tasking event, which includes, eating breakfast, drinking a cup of tea, ironing school clothes, running up and down the stairs numerous times, loading the washing machine, unstacking the dishwasher, making school lunches, signing school paperwork, cleaning up sticky faces.....you get the idea!! 6) Claim to fame time – Have you ever met an Olympian and who was it? Nick Gillingham, the swimmer came and presented the swimming certificates at the leisure centre I worked at, my husband was the manager that day and he actually got to hold Nicks Olympic medals, also in London 2012, Anthony Ogogo who is from this area is representing GB in the Middleweight boxing. 7) What event in past Olympics can you remember most vividly? The one that always sticks in my mind is Sally Gunnell in 1992 Barcelona, winning 400m hurdles, not quite sure why it sticks in my mind, think it was because I had just finished school and my GCSEs so had a relaxing summer watching lots of Olympics!! 8) Tuning in at home, not for me or tickets clamped ready in sweaty palms? Definitely tuning in at home, I would have loved to have gone and watched live, but with the six children, the thought of it was a nightmare! So I shall definitely be cheering on Team GB from home. 9) Who do you think most deserves a gold medal (any walk of life not just Olympians). As you all know we started using reusable nappies at the beginning of the year, and I have to say, I wished I had made the change years ago, no longer does Tyrus have a red sore bottom and I really don't notice the extra bit of washing, especially as the machine seems to be on permanently!! I have tried many different types of reusable nappies as I had heard that everyone has different experiences. I heard a few people mention GNappies, so when I was given the opportunity to give them a go, I jumped at the chance. gNappies, the earth-friendly hybrid nappy is all about options. Choose from a wide selection of colourful, cotton little gPants, our nappy covers. Then insert either disposable 100% biodegradable gRefills, or washable gCloth inserts. Both inserts fit easily and beautifully in all our little gPants. gNappies are plastic-free, elemental chlorine free, latex free, and perfume free..
Our 100% biodegradable and disposable gRefills or washable gCloth also fit newborn tiny gPants, our nappy covers for newborns. Now our baby can flaunt the cutest and most eco-friendly bum in the sandbox. Collect all the fab colors. After all, just because it's a green nappy doesn't mean it has to be ugly. 10 million nappies get binned in the UK every day and each one takes up to 500 years to biodegrade. Home compost or bin the biodegradable gRefill for the smallest footprint on earth. gNappies break down in 50-150 days. The GNappies don't really look like the traditional fluff, in that they are very minimal and when put on look more like proper pants. They have a very secure velcro that does up at the back, which I found slightly awkward to start with, but now that Tyrus is constantly on the move, it is actually easier to do it up whilst he is trying to crawl away from me!! There are two options, either reusable inserts or disposable ones, which can go straight on the compost heap and are perfect for holidays. Both fit into the plastic inner, meaning that they can be changed frequently without the need to wash the entire nappy, which is a big bonus. 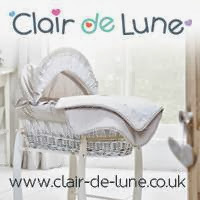 They really are quite unique and I love them, I was a little sceptical at first as they really do look so minimal I didn't think they would be able to deal with my son's quite heavy wetting, but I was extremely delighted that they did the job perfectly and he seems really comfortable in them, without too much bulk. The colours of the nappies are just fabulous. And not just for boys, in fact this would be a fantastic reason to have another little girl!! And finally to celebrate the Olympics, from mid July you can order this one .. When Xene was born over 14 years ago, we didn't have a digital camera, so we used to send the film off and have lots of photos sent back, as time went on and we added more children to the Clan, we upgraded to the didgital camera and now my entire computer is filled with photos that I have not gotten around to actually printing out!! We moved into our house five years ago, as a rental, six months later we were given the option to buy the house, which we did, which meant that all of the decor was left including pictures, so when I looked around our house I was extremely embarrased to realise that I had actually just left the pictures up and hadn't replaced them with any of our own!! Another problem we seem to face is actually having a photograph of all eight of us together, so when I was given the opportunity to review a canvas from Hello Canvas I was extremely excited and knew that I wanted one of all of us, luckily my sister had her wedding blessed last month and we actually had a photo taken of us all looking quite nice, so that is the picture I chose. I sent the photo via email and was amazed that the canvas arrived two days later, what a fantastic service, the canvas is 20" x 28" and is wonderful. When I took a look at the website I was shocked at the cost, for such a large canvas it is only £39, which I think is really great value for money. The next time I decide to add some family pictures around the house I won't hesitate to order from Hello Canvas. It really is hard to believe that this quality can be reproduced on a Canvas. Sorelle - A Tasty Alternative to Fizzy Pop! As you will all probably know I am not really a drinker, many years have been spent either pregnant or breastfeeding, therefore alcohol has been very far down on my list of things to consume. However, when we have people over for a meal, I always feel a little self-coscious that they are all sat with a large glass of wine and I have a glass of coke or lemonade, but I think I may have found an alternative! Sorelle, a brand new 0% wine-style drink that is launching in the UK – at only 24 calories per glass, it’s the perfect drink for girls on the go, busy mums and health conscious people. 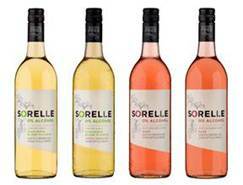 Coming in two flavours, a Sauvignon Blanc and a Rosé, Sorelle is a great alternative for those looking for an authentic wine taste without the alcohol. So, at the weekend, I actually got all six children to bed reasonably early by their standards and I sat down for a nice chilled glass of Sorelle Rosé, and I have to say, it was rather tasty, there was none of the usual bitter taste I find with normal wine, so i'm guessing the part of the wine I dislike is the actual alcohol!! I feel that it is reasonably priced and would make a nice alternative to having a glass of fizzy. I love the fact that it is only 24 calories per glass too, I shall definitely be having a bottle of this on standby for friends coming over, it would also be great to take with you to certain events, like a baby shower or a night in with the girls, if there are any that can't drink. Sorelle can be found in the wine aisle priced at £3.49 at Tesco stores across the UK. 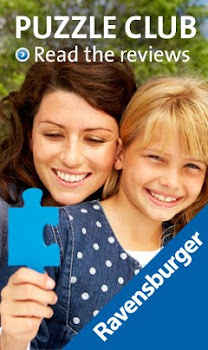 Blog detailing the life of a family with six children aged one to teen, we blog about anything and everything.